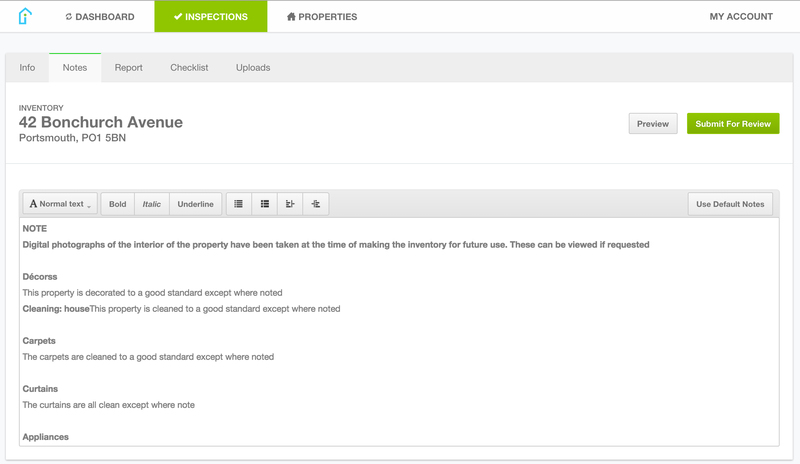 To amend the Notes page for a particular inspection's report, click on the Notes tab. If you've setup default notes already, these will show by default and can be amended for this report only. Just type in the box to make the required updates, there's no save button... changes to notes will save automatically.